"What changes have occurred in China as a result of the Tiananmen Square Massacre?" The Tiananmen Square Massacre was when Chinese troops charged through Tiananmen Square killing and arresting thousands of pro-democracy protesters. The brutal Chinese government assault on the protesters shocked many people in China, but mostly westerners. In May 1989, it turned into mostly young students who crowded into central Beijing to protest for democracy. The events that happened during this time in China shocked both its allies and cold war enemies. Many were saddened by the events in China. Consequently it made china look very bad. For instance, "members of Congress denounced the Tiananmen Square massacre and pressed for President George Bush to punish the Chinese government." And in turn the United States did not want to have anything to do with China economically because of the way they violated human rights. However, a major change in China was the mindset of the people. 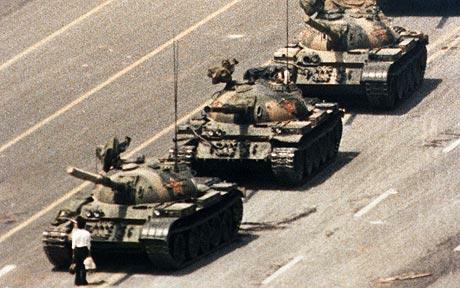 When the student stood in the way of the tanks driving through the square, it displayed an immense amount of courage. The perspective on human rights issues changed for many people. That man showed that just a single person has a voice that can be heard and can truly make a huge difference. "In your opinion, where does the 30 million deaths during the Great Leap Forward rank with other mass casualty events in the 20th century (ie. Hitler and Stalin attrocities)? 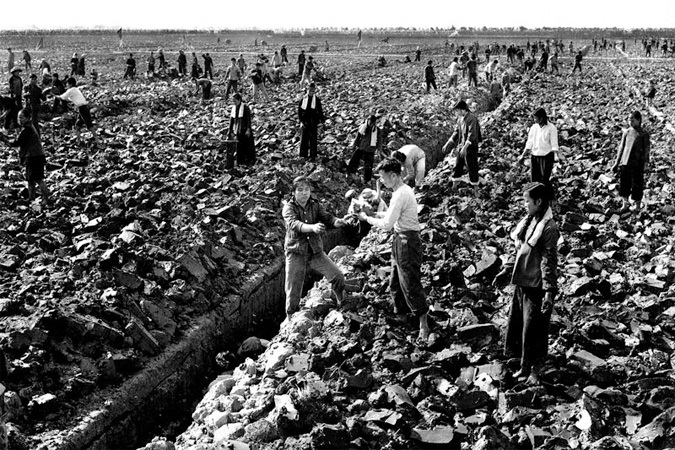 The fact that 30,000,000 people died during the Great Leap Forward is astonishing.This event was caused by a great famine. The great leap forward which took place in 1958 was Mao's attempt to modernize China's economy so that by 1988 it would out-do the american economy. However I believe that it wasn't Mao's intention to kill humans unlike Hitler who was out to get millions of people. Mao got caught up with his projects and probably didn't think of all the consequences that would come along with them. He did do a terrible thing and in my opinion did not care about humans and only cared about his projects in hopes to make him a better leader. However not to the extent of Hitlers, who had a very cold heart. To what extent were the Japanese partially responsible for bringing communism to China?" The Japanese were partially responsible for bringing communism to China in the 1900’s. The Republic of China was being lead by Sun Yat Sen during the time period of 1894-1895 also when the Chinese lost the Sino-Japanese war. After Sun Yat Sen died in 1925, Chiang Kai-Sheck became the ruler. At the same time Mao Zedong was the propaganda leader and strongly fostering communism. Mao did not give up on promoting communism, even during the Long March. Then in 1931 Japan started invading Manchuria, and the Chinese communist party increased its strength. Because during the Chinese Civil War, the CCP and Mao were able to free parts of northern China from the Japanese. While Chiang was too focused on Manchuria he was not able to halt the spread of communism. 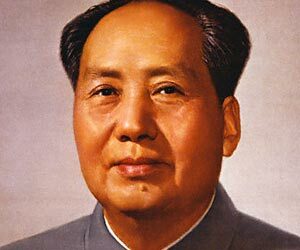 He therefore lost and allowed Mao to create the peoples republic of China.